I'm reposting this post from a few weeks ago because some folks asked me about other photo ops in Bosque. Yes! Bosque del Apache is a mecca for bird photographers. The snow geese and sandhill cranes are a sight to behold. But there are other great photo ops in Bosque.... especially if you are into HDR photography. Today Juan Pons, Chris Klapheke and I took our workshop students on a cool HDR shoot in a junkyard. When it comes to HDR photography, you'll get the coolest images when shooting in a high contrast situation - such as shooting from indoors to outdoors, which includes shooting from inside a car. Above is one of my favorite images from our HDR shoot. I used the Canon 8-15mm fisheye lens on my Canon 5D Mark II. I created the image in Photomatix with a touch of Topaz Adjust (to bring out the grain in the leather seats). Below is another Topaz Adjust image. To learn about HDR, see my post: HDR Must Know Info. To $ave on Photomatix and the other plug-ins I use, click here. Above is another HDR image I shot today. I could have brought out more of the details in the shadows, but.... shadows are the soul of the photographs, shadows are your friend... and light illuminates, shadows define. If you like HDR, check out my iHDR apps.. for the iPad and a Mac! So what about the birds today? We saw tons of birds. Above: I used my Canon 400mm DO lens on my Canon 7D. Tips: Crop creatively; crop out the dead space. Use focus tracking (AI Servo) when photographing moving subjects. Shoot silhouettes. Use Nik Color Efex Pro's Gradual Filter to change the color of the sky. Again, see my plug-ins page to get a discount on the plug-ins I use, including Nik. Leave some room in the frame into which the subject can fly. Shoot with both eyes open so you can see other subjects that can enhance (or ruin) an image. Watch the background, too. P.S. Before I go, here is an image I created using the Midnight filter in Nik Color Efex Pro. As I mentioned here on my blog a while ago, I am making a screen-grab workflow movie on how I use Photomatix. I asked readers what they would like to see me cover in the movie. Well, I can't answer all the questions in the movie (due to time), so I will answer all of them here - and may touch on some of them in the movie. Thanks for sending your questions. 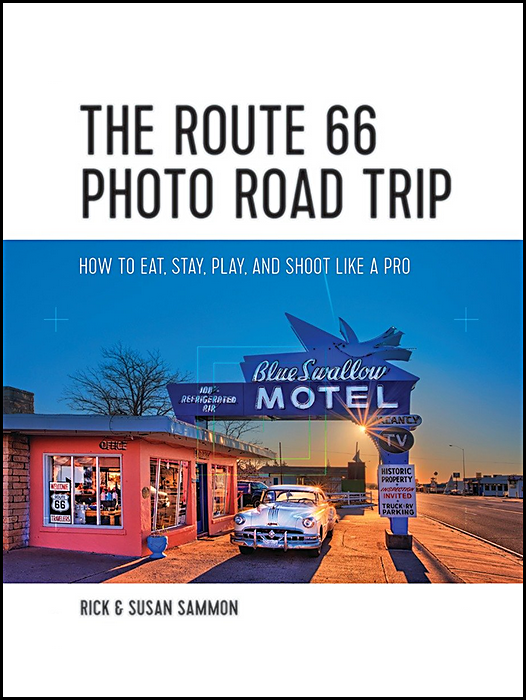 If you are new to HDR, you can save 15% when you order Photomatix by using this code: ricksammon. Before I go on, yes . . . I do use Nik Software's HDR Efex Pro, and teach it on my workshops, along with Photomatix. As an instructors, I need to be well versed in many program and plug-ins. 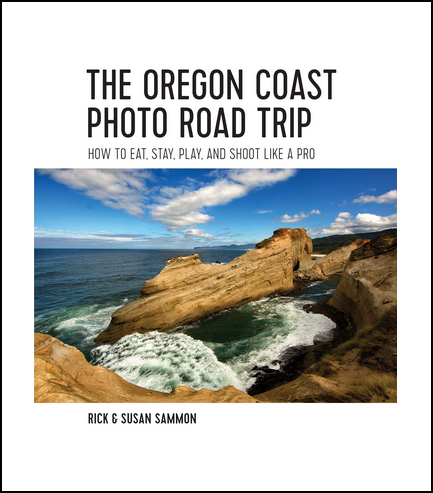 Save 15% if you use this code: RSAMMON upon check-out on the Nik web site. Randy Williams said... I assume you will let us know when you post it? It should be ready in about two weeks. The hurricane slowed me down! tina k said... It's amazing how one photo can tell a story that can be a different story for each viewer. I agree. Beauty - and the idea - is in the mind of the beholder. ChawnC said... Please show us where you work this in with regard to retouching, and other non-Photomatix enhancements. Thanks! In almost all cases, I enhance my pictures even more in Photoshop. This may include making an Adjustment Layer and enhancing only part of a scene. Also, I always check Levels - to make sure my image shows the best highlight and shadow detail. I may also do selectively sharpening, using Filter > Convert to Smart Filter. When it comes to HDR images with people in them, I mask out the HDR effect on the person, because it usually make the skin look strange. For artistic image, I may apply Topaz Adjust. David LaSpina said... Really looking forward to it. The only specific question I can think of at the moment is your thoughts on how photomatix and nik HDR compare. I'm starting to like Nik a bit more, but Photomatix is so much faster and I am much more familiar with it. But anyways.. looking forward to watching your workflow. I use both Photomatix and Nik HDR Efex Pro. Cost is one difference, as Photomatix is less expensive. Yes, I have found Photomatix faster, too. Pre-sets are different and offer different starting points. Both programs are fun to use - and useful tools for photographers. HDR Efex has Control Points and Curves, which means you don't have to do additional work in Photoshop or Lightroom. More from Dave. I thought of a better photomatix specific question: Do you feed photomatix jpegs or tiffs? I have gone back and forth. I originally always converted to jpg (from RAW) in Aperture and put those into Photomatix, then I convinced myself that using tiffs would give photomatix more info to work with. Then I read that Trey said he liked using jpegs into photomatix so I switched back. What's your take? JPEGs sure do speed up the processing time. I use my RAW files - and have been very pleased. My advice: do a test and see if you can see a difference. With today's fast computers, why not use RAW files. If you do want to convert to JPEGs first, use Image Process in Photoshop. It's amazing fast! r.coppola said...will you be covering hdr from a single (hdr) image/picture? I do that my dragging a single RAW file over to the Photomatix icon. If the contrast range is not greater than about 3 f-stop, it works quite well.. but you can probably pull out the same date from a RAW file in Photoshop or Lightroom. One thing to watch for is noise. Anonymous said... Hi Rick. I'd like to know how you keep skin tones neutral in an HDR image instead of looking "cartoonish"
See comment above. Basically, you don't want the HDR effect applied to the skin - as illustrated in the opening image. cycle11111 said...I am always wrestling with source image alignment especially for nature landscapes with lots of trees. How you deal with this would be awesome. Shoot on a windless day. Seriously. That said, the anti-ghosting feature is getting better and better. Jo Garrett said... What is the difference between the enhancer, cmpressor and fusion? which type of photos are they best for? I really only use Tone Mapping - to create realistic and artistic image - see below. I will try show some examples in my movie. Have not used DXO. Sorry. Al Marsh said...'m starting to get confused on when to use HDR. You always seek out a high contrast situation, beat up buildings, or a junkyard, right? But yours looks great and it is in a low contrast room. The only contrast is out the window. Actually, the opening picture for this post is a very high contrast scene. But HDR Can ruin a scene, too. See below - HDR on the left. Paul Waldo said... Hi Rick, thanks so much for your work in the community. It is truly appreciated! I have a suggestion for your discussion. I have both Photomatix and Nik HDR Efex. It is my impression that Photomatix, in the hands of an HDR Ninja like you, is the Ferrari of HDR. I am the Grasshopper, you are Master Po :-) So, most of the time though, I use Nik, because the controls are more intuitive. I just can't get an intuative feel for what the sliders do. I'd love to see a segment that really drives home what the different Photomatix controls *mean*. Otherwise, it's just random fiddling, which usually produces less-than-satisfactory results. Thanks for the kinds words. It's funny, we are the "slider" generation. I am limited on time for my movie, but I will cover what I can. For now, if you hold you mouse (or stylus) over the the slider, a good description shows up at the bottom of the window... in Photomatix 4.1. Mark said...Rick, thanks for this! I'd like to know how best to eliminate halos while still being able to keep the sky a deep blue...or maybe this can only be done by blending layers in PS afterward? For a natural look, go for Natural in the Lighting Adjustment mode. Sorry I don't have more time, but I lost a few days in the hurricane. Explore the light - and I will let you know when my movie is up! If you would like to learn more about HDR, and see my latest HDR images, check out my HDR app, Rick Sammon's iHDR. This is tip #19 of 101 digital imaging tips I plan to post here over the next few months. Stay tuned. One of the cool features in Adobe Photoshop CS5 is Convert for Smart Filters. Using this feature, you can apply a filter as you would use an adjustment and an adjustment layer – painting in and out an effect. This picture started out as three RAW files. First, I used Nik's HDR Efex Pro to create an HDR image. Then I applied the Spicify effect in Topaz Adjust. As a final step, I sharpened everything in the scene except the soft and beautiful water. Also, if you sharpen earlier in the image-processing process, and then adjust the contrast, for example, you have an chance of over-sharpening an image. P.S. For info on HDR Efex Pro (and a discount) and Topaz, click here. HDR Processing First Steps: In Photomatix, set the White Point and Black Point. In HDR Efex Pro, set the Tone Compressor. In Nik Software's HDR Efex Pro, you can quickly and easily compress the brightness range of a scene by adjusting the Tone Compressor slider. (After that, use Control Points to fine-tune your image even more! If you still lose highlights, and if shadows are still blocked up, you mostly likely did not take enough exposures to capture the entire dynamic range of the scene. For discounts on Photomatix and HDR Efex Pro, click here. To read about HDR imaging, check out my latest book, HDR Photography Secrets. Lean how to shoot HDR on one of my workshops. Great fun! P.S. Listen to my free HDR Efex Pro webiner. Click here.